The Poppy Field at RBGE. Photo Tony Garn. 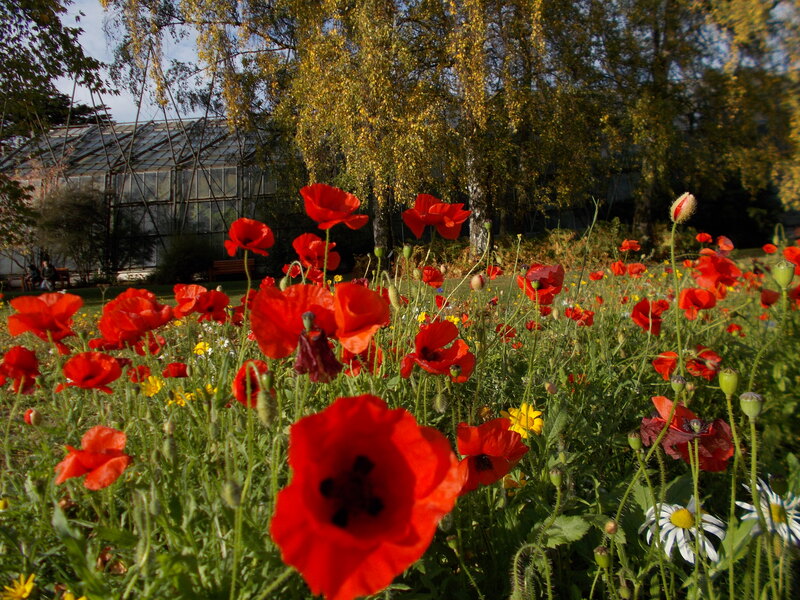 With the dry, warm weather this autumn the Annual Poppy, Papaver rhoeas, has produced a timely show of flowers to add colour in the lead up to Armistice Day which remembers, among many others, former members of RBGE who lost their lives during the 1914-1918 war. One of the Poppy Field’s inhabitants. Photo Tony Garn. The longevity of the seed held buried in the soil heralds a reminder of conflict and the need to remember those lost. Papaver rhoeas known as an agricultural weed yet giving life and beauty to cultivated land, gardens and often barren landscapes throughout Europe. The Poppy was chosen to remember all those who gave their lives during the Great War of 1914-18 as the seeds germinated following the disturbance caused by bomb damage and other combative action through the soil of Flanders fields. John McCrae noticed this, and used it in his poem ‘In Flanders Fields’, written in 1915 after he’d presided over the funeral of a friend who’d been killed during the Second Battle of Ypres. 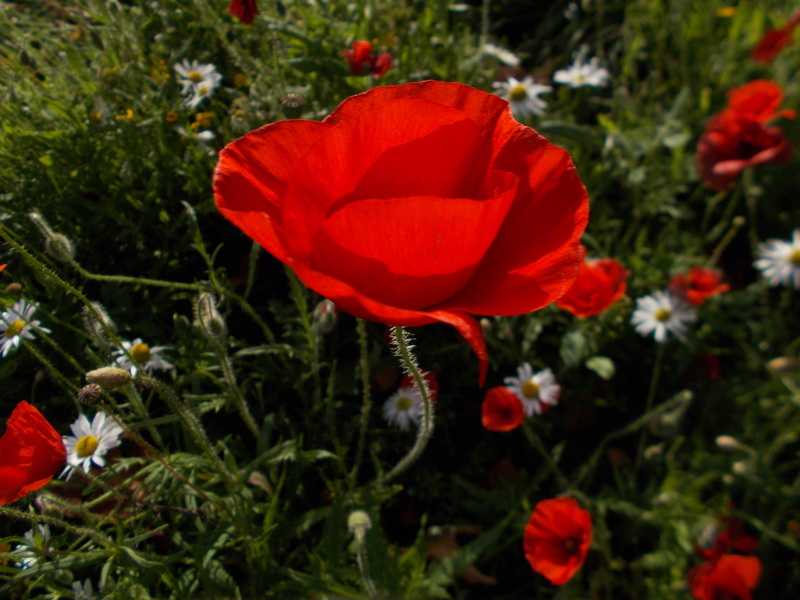 It became one of the most quoted poems during the war, was used in campaigns to recruit soldiers and raise money, and the reference to the poppies growing on the battlefields led to that flower being used as our symbol of remembrance. More about Lieutenant-Colonel John McCrae and his poem can be found here. by Tony Garn, RBGE Hort Dept.